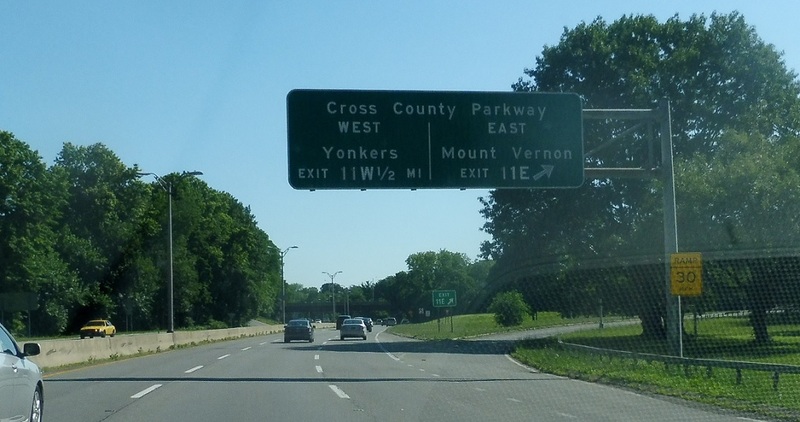 After the Mosholu, we’ll head out of the city and into Yonkers and approach the Cross County Parkway. Keep right for the eastbound Cross County to Mt. Vernon. Exit for the eastbound Cross County. 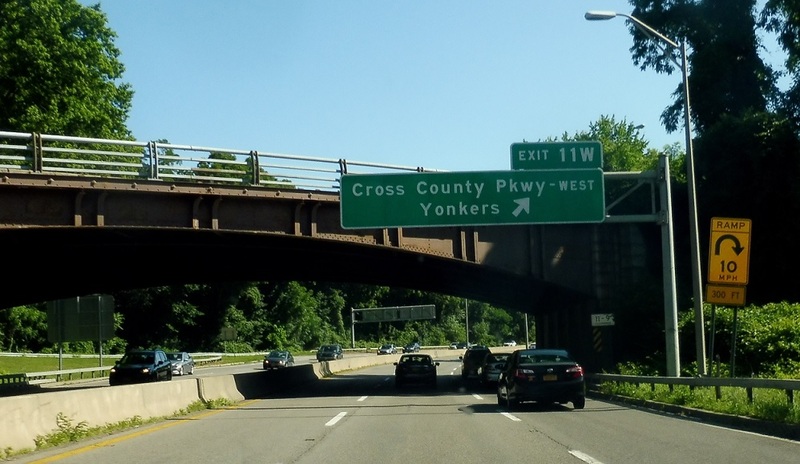 And exit for the westbound Cross County into downtown Yonkers.